Wisconsin’s new public school superintendent delivers his first “State of Education” address in the Capitol Rotunda. In his speech, Superintendent Tony Evers commends educators, saying they expect — and deserve — everyone’s support for their commitment in educating the students. 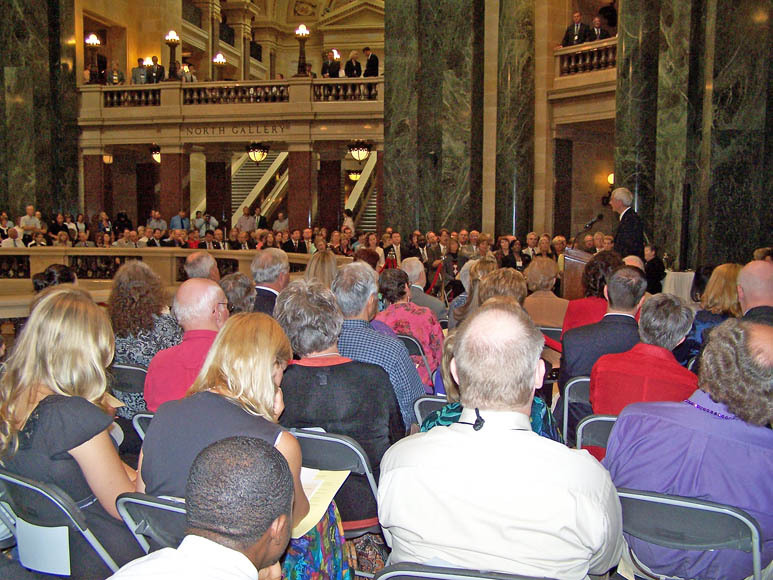 Evers is trying to send the message that he’s ready to move forward on initiatives to improve education in our state. Evers says he’s working with Governor Jim Doyle and others to begin the process of writing a grant proposal for the purpose of getting federal stimulus dollars for public schools. He won’t make any assumptions about the money until the new regulations are finalized. Evers is seeking a portion of the $4-billion available from President Obama’s “Race to the Top” program. But eligibility requires changing the state’s long-time policy against using test scores to evaluate teachers. State lawmakers are expected to take that up this fall.